Manila, Philippines – President Rodrigo Duterte is the 69th most powerful person in the world out of 75 individuals, with Chinese leader Xi Jinping topping the Forbes 2018 List of the World’s Most Powerful People. For the first time, Xi ranked first as the world’s most powerful person, dislodging Russian President Vladimir Putin who held the title for four consecutive years. Putin is now ranked second followed by US President Donald Trump as third place. At number four is German Chancellor Angela Merkel who remains the world’s most powerful woman on the Forbes’ list. The palace said the power of Duterte emanated from the people and public trust. Forbes cited Duterte’s effective war on drug dealers and users that his administration launched in 2016, soon after he became the country’s 16th president. 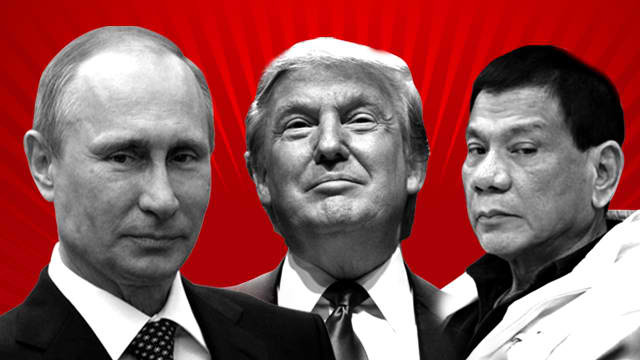 Forbes said: “So far his war on crime has already resulted in the killing of thousands of people across the archipelagic country,” recognizing that Duterte was elected as Philippine chief on the strength of a campaign that promised execution of drug dealers and other criminals. “Duterte’s raw vocabulary keeps him in the headlines: he called Obama ‘son of a whore’ for (for treating the Philippines as America's colony),” it added. The list included world leaders, monetary authorities, investment bankers and businessmen. The list considered factors such as how many people those in the list have power over; if they have influence in more than one sphere; the financial resources they control; and how actively they wield their power to change the world.